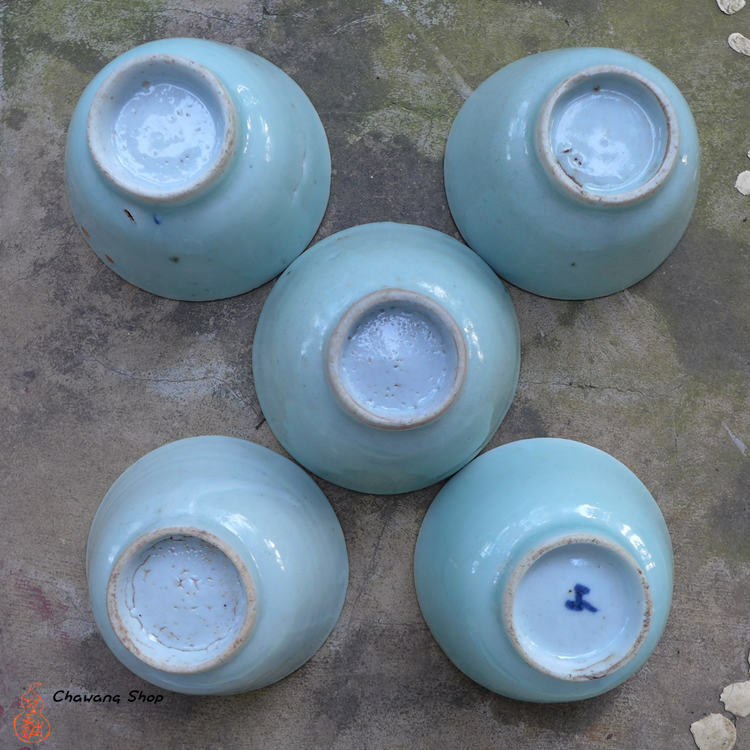 These celadon cups from the late Qing to ROC period are in good condition. Delightful pea green color gives a person sedate and refined feeling. Every cup is unique. There is not any damage as chip or hairlines ! 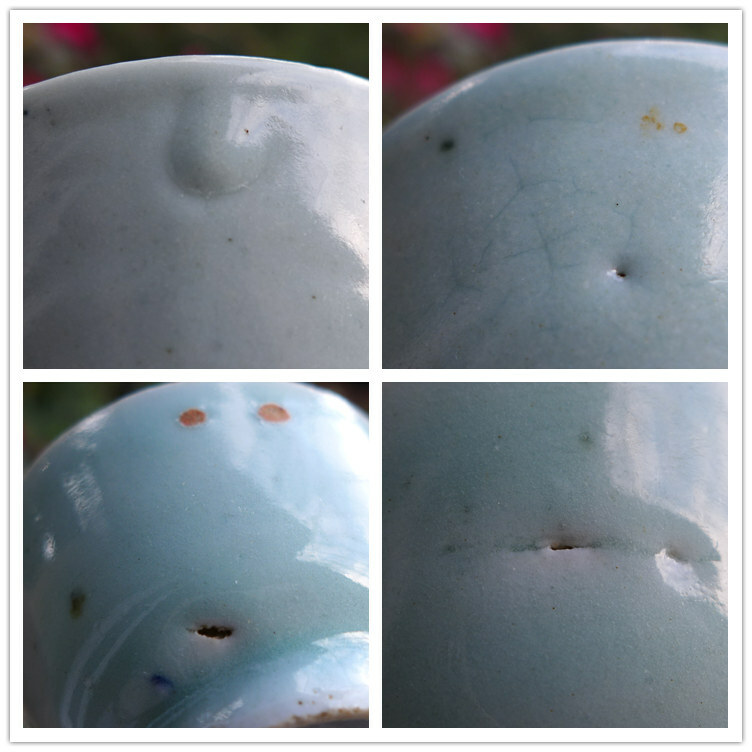 On cups only can find some deffects from the processing (like small black dots from the firing). In someone eyes, these old cups can be unperfect. Please if you looking for perfect cups, check our section of modern cups. 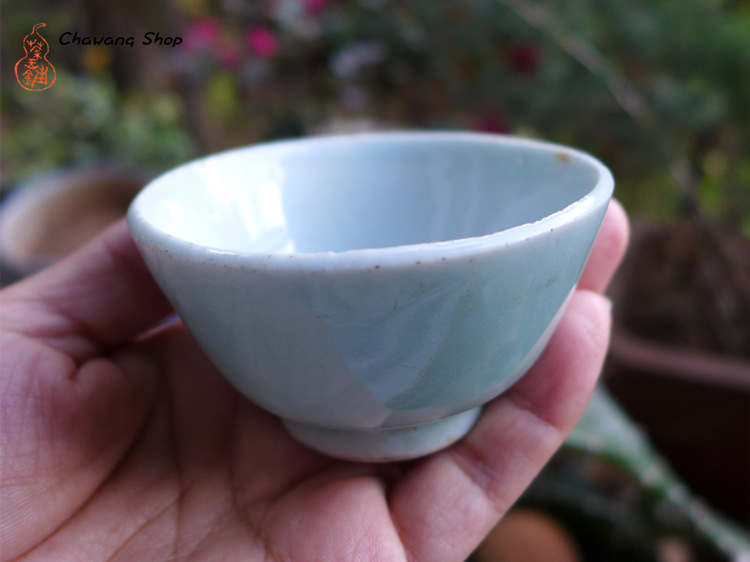 Antique cups are fully hand made and each is original!